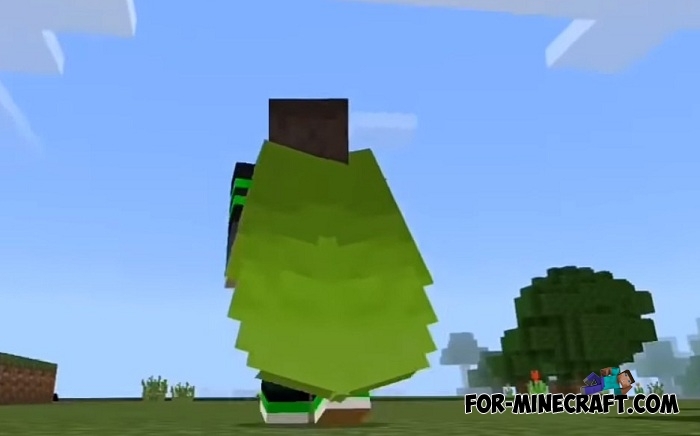 What else could be customized in Minecraft BE? Of course, let's consider the possibility of using 16 color elytras without installing modifications and third-party launchers. 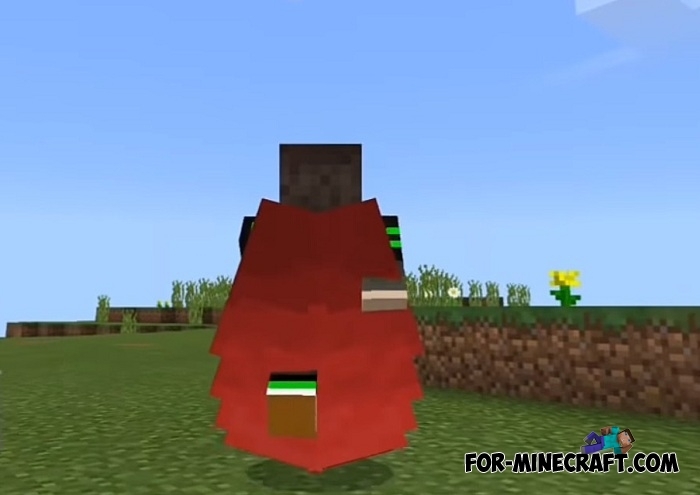 This addon (or rather resource-pack) adds an in-game ability to change the color for your wings. This color is displayed both in the world and in any interfaces, just open the inventory. 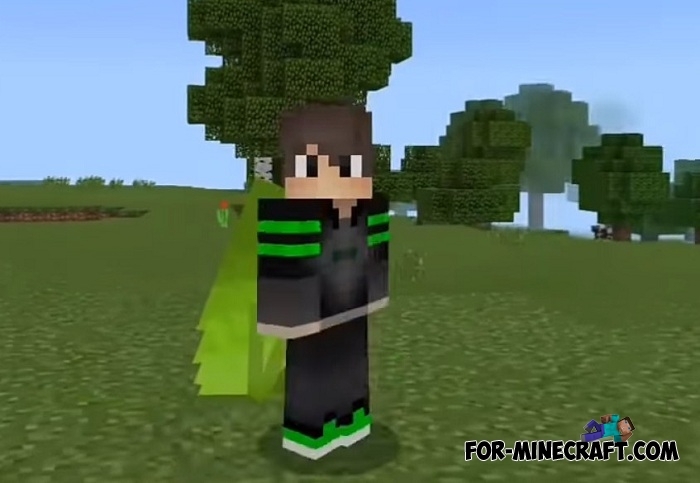 How to dye elytra wings? 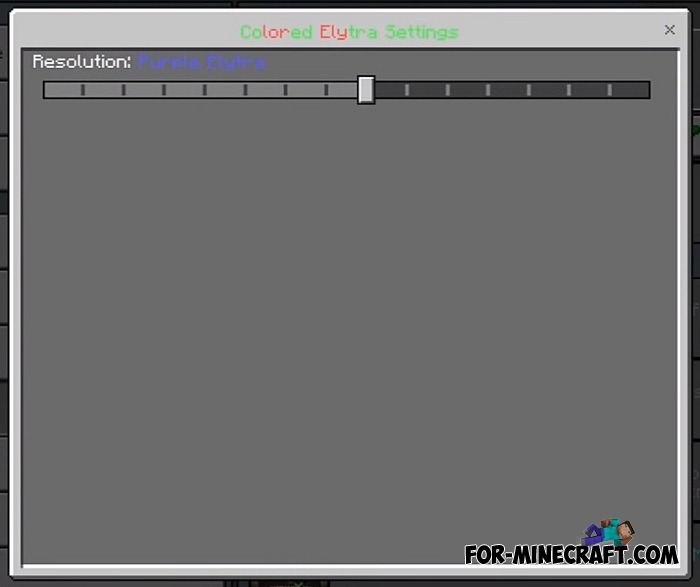 In fact, there is no way to color the elytras with dye. Everything is much simpler: you just open the settings of this resource pack and choose one of the 16 colors available in MCPE. Then open your world and appreciate the new appearance of the wings. All colors are original and perfectly combined with other objects. 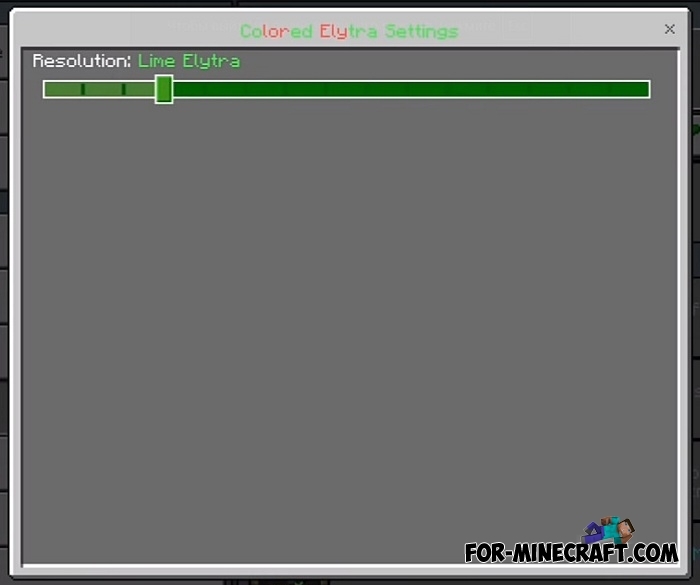 How to install Colored Elytras?